When Johann Cruyff set about rebuilding the whole set up at Barcelona, using the Dutch blueprint he had grown up with at Ajax, inadvertently he was also reshaping the footballing philosophy of the whole nation. The link between the modern all-conquering Spanish tiki-taka and the Dutch total-football is too obvious not to notice. Less noticeable is the German influence on the Spanish game. That comes through Horst Wein, a German “coach of coaches” whose work has influenced thousands of coaches and whose book “Developing Youth Football Players” is the official textbook of The Spanish Football Federation. Wein is truly an impressive man. Not simply because of his CV – even though that contains working with some of the world’s top clubs and federations as well as authoring 34 sports text books – but also because he talks the language of someone who has thought deeply about his work and come up with a level of insight that few can match. “Who is the best coach in the world?” he asks before promptly replying “we have no doubt, it is the game of football itself”. The message is very clear: coaches are there to facilitate and not act as the main actors. It is not that he doesn’t appreciate the value of coaches. “When you do what you have done always, you will never reach any further,” he says, underlining his belief in innovation. His journey, however, didn’t start on a football field but rather in hockey spurred by the questions of his young son. How did you start formulating your theories? When he was 7 years old my son (who 15 years later became World Champion) questioned my coaching even though at the time I was one of the leading hockey coaches. So, in order to answer his doubts, I became also interested in youth development. You’re a big proponent of making football fun. How do you achieve that and why is it so important? Especially for kids initiating their career in football from the ages of 7-9, it is very important that they fall in love with the game. When this happens and football becomes their healthiest drug then they continue to play the game for a lifetime. Through my webpage http://www.thebeautifulgame.ie we offer a very unique game format, 3v3 on four goals called FUNino which will lead to play even at 8 or 9 years “The Beautiful Game” as the best teams of the world are demonstrating it. . Similarly you say that the best coach in the world is the game of football itself: what do you mean by that? In times gone by, Street Football helped to develop naturally skillful and creative players, simply because the games were simplified, with few players around and what’s important with no interference from any coach. I have studied the way kids play and then have captured the same essence and added some structure in the development of these games without the overuse of drills which is still very prominent in many football academies around the world. Instead of listening the players to the constant instructions, any academy coach should use guided discovery questions to encourage the kids to discover the problems inherent in the game in an interactive way. What did street football teach children that have been lost today? Street football was a natural environment for children to explore the game of football the natural way. Children played almost daily for many hours around the corner, they didn’t need any transport nor specific sport equipment, no registration at a federation which today treat all children like adults, who with their too complex competitions limit the natural development of our youth in football. You were one of the first to argue in favour of small sided games for young children. Is it pleasing to see so many people now agreeing with you? And why is it so important? Yes, thankfully the idea of small sided games (I prefer my term of simplified games) has become widespread in the last decades. However, I would personally still prefer if the competitions kids are asked to play world-wide were age-appropriate i.e. 3 v 3 for 7-9 years; 5 v 5 for 10 years; 7 v 7 for 11 and 12 years and 8 v 8 for 13 years, before, eventually playing 11 v 11 at 14 years of age. None of the FIFA member countries has yet applied an optimal structure for their youth competitions! So imagine if there would be countries which would implant my optimal, age-appropriate competitions (which as I said above are the best teacher) how much space there would be for improving the playing capacities. 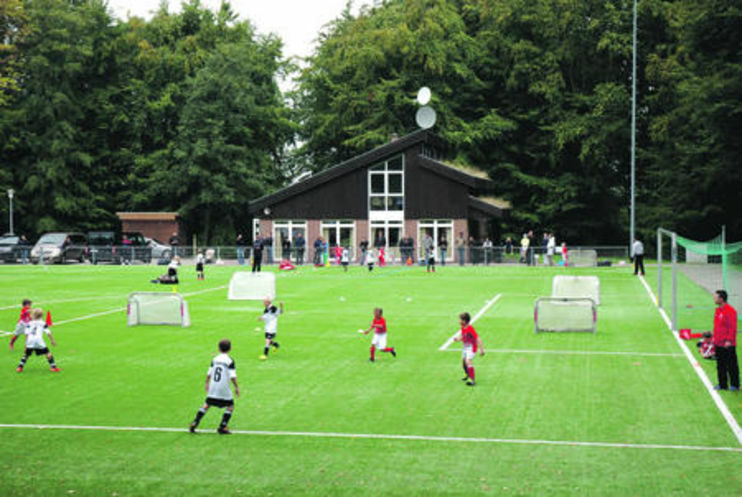 A lot in youth development is still to be discovered by almost all football clubs in the world. Football will soon improve considerably as other ball games like hockey, volleyball and basketball have done. Football is still an undeveloped sport and far behind others, especially in developing young football players. At what age should competitive leagues start? Experiences have shown 12 years is about right, as the kids will probably demand that. Most definitely, many coaches today still regard young players as “empty vessels” that have to be filled, instead of young people with amazing potential and intelligence to be stimulated and tapped into. Imagine, FIFA is still using the term “instructor” which is a term from the last century which should only be used at Military Services! What is a coach’s role? Is it that of a teacher? When we say “the game is the teacher,” we mean that quite literally. Coaches should facilitate the stimulation of game intelligence and creativity through the use of simplified games in which children should discover for themselves as often as possible all secrets of the game. The coach’s role is to create an environment where the young players flourish naturally. 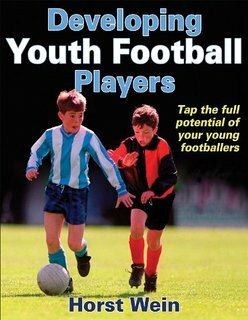 What is the most important skill in a young player? Today most players have good technique and physical preparation so what separates the very best players is their level on game intelligence. It has to be considered the most important ability on the football field. Therefore young players have to be systematically exposed to games like “Funino” which unlocks and stimulates their creativity and game intelligence from 7/8 years onwards. Do you, as a coach, give any importance to physical attributes like height or strength in a young player? The strongest, fastest player without game intelligence will waste most of his potential, but the smallest intelligent player can overcome any opponent. What is game intelligence? And how do you coach creativity and intelligence, if that is at all possible? Game Intelligence is that ability to “read the game” and make good decisions as quickly as possible. The game of football is a constant flow of changing game situations and becomes very complex when playing the adult game of 11v 11. From the earliest ages, players must be exposed to game situations in ever-increasing complexity, but starting with simple games first. In Funino, 3v3 with two goals out wide at each end, there are always options available, as one goal is usually less defended than the other. This facilitates greater perception, understanding and decision-making. In subsequent games in our development model, the game situations become more complex. Also using the guided discovery coaching method helps to develop greater understanding and retention of game situations and ultimately better decision-making. You’ve worked in many countries and influenced a lot of people but it takes time for new ideas to be absorbed. How long does it normally take to change mentality of people? In some countries people are ready for new ideas, especially the “newer” soccer countries where there is no tradition. In others it may take many years. Usually it takes 10 years for changes to take place. Thankfully through the internet, knowledge spreads much nowadays more quickly than in previous decades. My method is more or less used in all Spanish Football clubs since the Spanish Federation published my text books more than 20 years ago. Actually they are all sold out … and probably a new edition is on the way for 2014 with the newest updates. For more information about Horst Wein and his ideas, visit his website http://www.thebeautifulgame.ie.